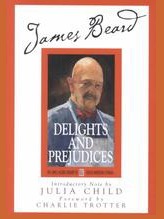 The closest the Dean of American Cooking ever came to writing an autobiography, Delights and Prejudices is full of insightful stories chronicling the development of one of America's most discerning palates. Along the way, Beard shares more than 150 recipes for sumptuous treats, including many recipes from his own mother's kitchen. This 1964 classic has been reprinted several times by multiple publishers.